Losing your hair, are you? This can be quite a dramatic problem for most of us, and it really tells you that you have started aging. Although it is important to keep in mind that some hair loss is natural and something that happens periodically depending the life cycle of the follicle, when it gets excessive you want to stop it because it can lead in to serious problems like baldness. These problems are usually considered only visual but it can also have a great impact on ones psyche and self-esteem. 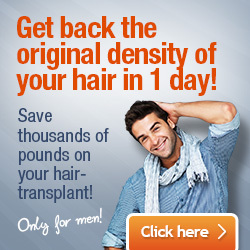 If you have already started losing hair then you should take immediate action in preventing it. The first thing that you can do is look for foods to stop hair loss, because nutrition has a great impact on the hormonal profile of your body. This way you can stop the negatively affecting hormones from being so dominant in your body and increase the ones that aren’t so effective. You should focus on eating a paleo-diet since it can help you regain a natural hormonal balance in your body – if you are a mant this will reduce the amount of estrogen that also activates the glandulae sebaceae from working overtime, and causing you to get bald. It is also a good idea to go a little bit further than that. There are supplements that have been especially designed to reduce the amount of testosterone that is converted to DHT which is known to cause the male pattern baldness. 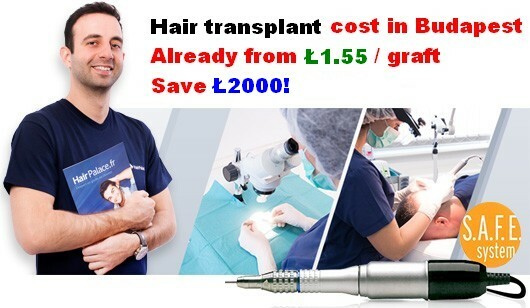 Mens hair loss is in 85% of cases MPB that means that you start losing hair from your temporal area and on your forehead. There are products and vitamins to stop hair loss that is happening because of this, and the most common ones that are used are saw palmetto and beta sitosterol. Besides just them you should look at supplements like resveratrol and also increase the amount of fish oil that you are taking – if none then it is about time that you start using it. This is because it has been shown to reduce the amount of inflammation in your body, and it is a strong anti-oxidant, meaning it will fight the deadly inflammation in your hair follicles and is a potent remedy for hair loss. Besides just taking care of your body, you need to take care of your scalp by using a shampoo to stop hair loss. You should look for a gentle cleansing shampoo, because some of the commercial shampoos tend to be too rough on your scalp, causing it to produce more lipids to prevent it from drying. These lipids then get inside the follicles and start the havoc no matter what. There are many good shampoos and conditioners that are especially designed for thinning hair. Even though they are far from being the baldness cure, they can surely help the prevention, and that is what we all want to do – fight the problem before it really is a problem. Mens hair loss is something that isn’t to be taken too lightly, and if you take action you can stop hair loss at an early stage, and never really suffer from the impacts that it can have on your self esteem and your mind. And also you will look great in the eyes of the ladies! Today people are so far off with their nutritional habits that we are starting to see an increase in mens hair loss especially in younger men. You can see guys in their mid twenties showing clear signs of baldness, and this could all be prevented if proper actions would be taken at an early stage.